Data Integrity continues to be the major issue facing regulated laboratories in the pharmaceutical and biotechnology industries. In this seminar, we will look at results from the assessment of processes and computerised systems and discover the main issues currently facing regulated laboratories: how to record observations manually, regulatory concerns with the use of blank forms and explore the hybrid system problem. Often short term remediation focuses on a quick resolution of data integrity gaps using simple technical controls and many procedural controls - this is a fix and forget approach that condemns a laboratory to drown in oceans of paper. A better approach is to eliminate hybrid systems and paper records and automate the process. Not only does this result in a faster process but as work is automated technical controls including the use of electronic signatures can enforce data integrity and other compliance requirements. The webinar will conclude with a discussion of the current status of commercial applications and pose the question are they adequate for a regulated environment? An analytical chemist with over 45 years experience including 15 years working in the pharmaceutical industry and over 25 years working for the industry as a consultant. 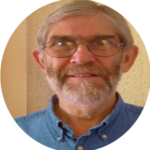 Bob has been involved with automating analytical laboratories since 1980 and was an early implementer of a Laboratory Information Management System (LIMS) and the experience gained allowed him to edit the first book on the subject in 1988. Bob was presented with the 1997 LIMS Award by the LIMS Institute for advances in the subject and teaching. He is Director of R D McDowall Ltd. Bob is an auditor and he has been involved with the validation of computerised systems for over 30 years and is the author of books on the Validation of Chromatography Data Systems (two editions 2005 and 2017) and this year published his book on Data Integrity and Data Governance - Practical Implementation in Regulated Laboratories. Bob is also the writer of the Questions of Quality (LC-GC Europe) and Focus on Quality (Spectroscopy) columns and is a member of the Editorial Advisory Boards of several Journals. He is also involved in the GAMP Data Integrity Special Interest Group and is a contributor and reviewer of the 2017 GAMP Guide for Records and Data Integrity and the Good Practice Guide on Data Integrity - Key Concepts.